I enjoyed this good mix of romance and suspense. The romance has a twist. Mary Wade and Brett are forced to spend time in close proximity. Feelings of romance develop but is it because of the stressful situation? Can the romance be sustained when the situation changes? I like the females in the novel. Mary Wade and Brett's grandmother might seem like mild women but they rise to the occasion when in danger. Dougherty has added the issue of parental expectations to the mix. Mary Wade's parents think she should have gone into some full time ministry. Mary Wade's situation would make for a good group discussion. I recommend this book to those who enjoy a good romance sprinkled with suspense. Hope Toler Dougherty holds a Master's degree in English and taught at East Carolina University as well as York Technical College. A member of ACFW, RWA and SinC, she writes for Almost an Author. Before writing novels, she published non-fiction articles on topics ranging from gardening with children to writing apprehension. She cheers for the Pittsburgh Steelers, ACC basketball, and Army West Point Football. Hope and her husband, Kevin, live in North Carolina and chat with their two daughters and twin sons through ooVoo. 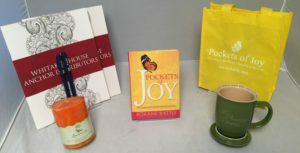 Find out more about Hope Toler at http://hopetolerdougherty.com. I have read a number of novels by Terry that I have enjoyed a great deal. I did not enjoy this novel. I was not surprised to find out it was a revamp of her first novel she wrote but never published. Knowing that, as well as finding out that she began this novel after her son had a birth event similar to the one in this novel, made me want to be gracious in my review. This novel is in the first person and is mostly the thoughts of a young and very troubled mother and wife. Tiff's daughter had a brain bleed shortly after birth. Many complications continue. Tiff and her husband spend days and weeks with their daughter in the hospital. Add an arrogant mother-in-law and Tiff has much over which to have troubled thoughts. As usual, Terry covers many issues in the novel. Relationships are a big one. There is the immature marriage relationship between Tiff and Jake. The baby was conceived and born before they married and Tiff wonders if God is punishing her. So another relationship issue is that between Tiff and God. There is also the mother-in-law relationship. Other issues include prophetic words spoken in a church service. Also of concern is whether God still heals or will heal today. Most of the novel was very depressing to me. I've never had a child and Tiff's ongoing, repetitive, and negative thoughts were a bit much for me. I also felt the novel was too long. I think about a hundred fewer pages, taking out some of the repetitive events, would have made the novel more readable for me. There is a redeeming factor at the end of the novel. I am unsure of its impact as it was right at the end and we do not get a chance to see how it all works out. This novel would be a good one for those who enjoy reading the troubled thoughts of a character as she struggles with guilt and relationships. There is a strong Christian message at the end but for most of the novel there is no real spiritual impact on the characters. While I did not enjoy this novel, I have thoroughly enjoyed others from this author. Do not let this review hinder you from reading this author's other fine works. Alana Terry is a pastor's wife and homeschooling mom. Her novels have won several awards. She and her family live in rural Alaska. You can find out more at http://www.alanaterry.com/. Dunn has created an action packed plot with a bigger than life hero. Cochrane is an assassin, a very good one. He kills lots of people in this novel. He's also a very nice guy. Somehow, those two aspects of his personality didn't seem to work together. I found it a little difficult to enjoy Dunn's writing style. There are many long paragraphs of background material, descriptions, etc. I would have preferred action or dialog to move the plot forward rather than the abundance of descriptive material. There have been many previous Cochrane novels. This is the first I've read and I frequently felt like I was missing essential actions from the past. Many of the characters in this plot had important roles in Cochrane's previous adventures. I would suggest the series be read from the beginning. While this novel could be read on its own, I think readers would enjoy it more if previous novels are read first. Has thinking become a lost art? Are we drawing conclusions and making decisions without thinking through all the parts of the issues? Jacobs notes, “Relatively few people want to think.” (17) It might make us uncomfortable. Our peers might not like our conclusions and disapprove of them. Thinking complicates our lives. And make no mistake, it is work! Jacobs emphasizes that thinking is an art. He does not provide specific instructions in logic, inductive or deductive reasoning. He does not offer strict rules. He does suggest good, practical habits that can help the thinking process, such as the importance of self knowledge. Rather than being a slave to pure logic, I like that Jacobs says thinking involves the entire person. Our feelings have an impact on our thinking. So do the our relationships with others, our moral views and our biases. In light of recent American politics, the part of the book I found the most fascinating was about the “outgroup.” Some do not want to be outside the safety of a community that provides security, even if it is at the expense of thought. (35) Rather than think through an issue, the individual parrots the views of those offering the security. I recommend this book to those who want to understand thinking and how to think without being confronted with the rules of logic and reasoning. You will find many insightful revelations about how you and others think, presented in a very readable form. Food for thought: Dare to think. Currency (Penguin Random House), 160 pages. Walsh wants readers to experience the salvation freedom to be who they were meant to be apart from pain and shame. She invites readers to find healing and strength in the midst of the mess. Walsh has struggled with depression and shares her battle experiences, wrapping the narrative around the death of her mother. The primary emphasis of this book is an encouragement for us to be truthful. We know how to say the right words so that it appears all is well. Walsh wants us to speak the truth, admitting the pain, revealing the scars. Trying to hide our wounds gives a foothold to fear and shame. Believing lies about ourselves easily leads to a pit of despair. Walsh includes practical suggestions to counter lies, such as Scripture verses to use. She suggests creating a community for support consisting of safe-place sisters who confess to and pray for each other. Walsh shares her own experiences and through them helps us understand how to find healing and strength. It is a very personal account of struggling, having a mental breakdown when she was 36 years old and being hospitalized. People who know Walsh from her speaking engagements and TV experiences will welcome these personal stories. Walsh shares the lessons she has learned through her own experiences. Her suggestions have been tried and tested. I recommend this book to women who are ready to deal with the lies and instead walk in the truth. You'll get good encouragement and practical suggestions. Sheila Walsh is a Bible teacher and best selling author with more than five million books sold. She is the cohost of Life Today with James and Betty Robison. She lives in Dallas, Texas with her husband and their son. You can find out more at http://www.sheilawalsh.com/. I received a complimentary ARC of this book through Handlebar. My comments are an independent and honest review. 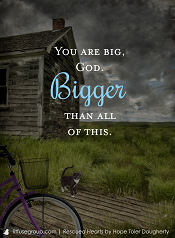 Batterson suggests that our ears have been deafened to the voice of God. Learning to hear the voice of God is the solution to many of our problems. Hence this book. I really like many of Batterson's insights. One was about the nature of whispering. When someone whispers, you have to get close to hear what is said. 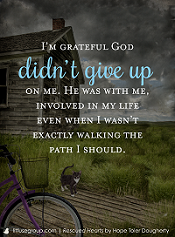 It makes sense that God would whisper to us, drawing us close to Him. 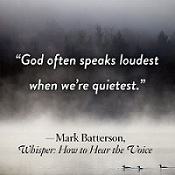 Batterson reminds us of the importance of silence and the distraction of noise. No wonder we have been deaf to the whispers of God. Batterson has the goal of helping us learn how to discern the voice of God in the ways He speaks to us. We all hear God differently as God speaks to different personalities in different ways. He helps us determine our unique whispering spot to hear from God. The seven ways God speaks to us include Scripture (the final authority for all we hear), desires (we are to delight in Him), doors (tests to keep us from less than God's best), dreams (how to evaluate them and trust God), people (remembering that they and we are imperfect), promptings (discerning holy moments), and pain (perhaps speaking something that cannot be said any other way). I recommend this book for anyone wanting to hear God speak. 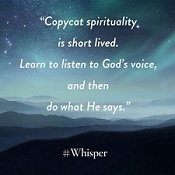 You'll receive good teaching on how to place yourself to hear the whisper. The book is very readable too as Batterson tells lots of entertaining and informative stories, like the history of vanilla. You can download an excerpt and watch a video here. The book releases October 24. Mark Batterson is the New York Times best selling author of more than a dozen books. He is the lead pastor of National Community Church, one of the most innovative and influential churches in America. He has a DMin degree from Regent University. He, his wife, and their children live on Capitol Hill. You can find out more at https://www.markbatterson.com/about/. Each of us has experienced anger. Each of us has been hurt and hurt others because of it. Welch decided to take a slow walk through the issue, writing 50 short vignettes to be read over 50 days. Each reading includes a question for thought. 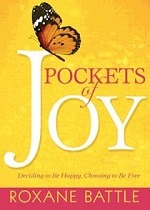 This is a good book about anger but I was disappointed in that it lacked clear and practical ideas to deal with anger. 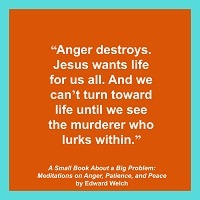 Welch explores the relationship of anger to fear and blame. He reminds us Jesus was hard on anger because it destroys. Welch also explores how anger is formed, beginning as a desire but then having that desire thwarted. He helps us understand what anger reveals about our relationships, including with God. 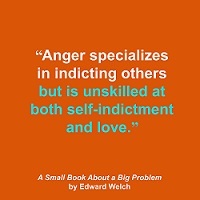 A confusing aspect of the book for me was Welch writing about anger's opposite. He writes that wisdom is anger's opposite (Loc 276/1400), love is the opposite of anger (Loc 300/1400), humility is the opposite of anger (Loc 487/1400), and asking forgiveness is anger's opposite (Loc 598/1400). Unfortunately, Welch gives some suggestions but includes no strategy to carry them out. An example is Day 50. “Cast off anger and all its affiliates,” he writes. “Cast off everything that has to do with darkness and the Evil One.” (Loc 1325/1400) A good admonition but carrying it out is left up to the reader. No practical strategy is included. If you are looking for readings about anger and a few general suggestions, this book is for you. If you want a book with some practical strategy in dealing with your anger, such as identifying its roots, you will have to look elsewhere. Edward T. Welch, MDiv, PhD, is a licensed psychologist and faculty member at the Christian Counseling & Educational Foundation (CCEF). He earned a Ph.D. In counseling (neuropsychology) from the University of Utah and has a Master of Divinity degree from Biblical Theological Seminary. He has counseling for more than thirty years and has written extensively on the topics of depression, fear, and addictions. He and his wife, Sheri, have two married daughters and eight grandchildren. Find out more at http://stores.newgrowthpress.com. I received a complimentary digital copy of this book through Litfuse. My comments are an independent and honest review. This is the third in the Rejected Writers series. It's as funny as the others. I don't know how Kelman keeps creating such great plots with warmth and humor propelled by crazy characters. In this slice of small town life on an island in the Pacific Northwest, the ladies plan a wedding. Things get pretty crazy when Doris thinks she can make all the arrangements for Flora, the soft spoken bride. There is one laugh out loud scene after another. The novel also has its serious side when a misunderstanding derails the romantic relationship. There are some good lessons about truth and honesty and forgiveness woven into the plot. The strong friendship bond these women have forged is very inspiring. All the elements of a great novel are here. The characters are crazy funny, like Ruby-Skye, the eccentric hippie in her 70s. The plot is wonderful. You'll revel in how the ladies help relationships heal, even while you're laughing at the mess they make on the way. The location is superb, that special island of which I'm a native and call home. Get ready to laugh until the tears flow as you read this fun and warm look at life in a small island town. I highly recommend this novel to readers who enjoy a good laugh and appreciate a heart warming story woven through out. You can read my reviews of the earlier books in the series: The Rejected Writers' Book Club and The Rejected Writers Take the Stage. Suzanne Kelman is the author of the Rejected Writers Book Club series and an award-winning screenwriter. Born and raised in the United Kingdom, she now lives in Washington State on her own version of Southlea Bay with her husband and son. You can find out more at http://www.suzannekelmanauthor.com/. I received a complimentary egalley of this book from the author. My comments are an independent and honest review.